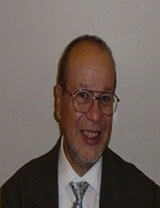 Dr. Francisco Eduardo Rivera is a Computer Scientist with the Federal Aviation Administration (FAA) at Washington DC where he manages the Knowledge Management System and Best Practices project for Air Traffic. He has a PH.D. in Computer Engineering (National Polytechnics Institute, France), he hast two Masters one in Computer Sciences, and other in Future Studies and Science Policy; he also has Bachelors in Sciences in Physics and another in Computer Sciences. He is an Oracle Master and Green Belt Six Sigma certified. He came from Academia and Research where he has been professor at St. Edward’s University (Austin Texas) where he was Chair of the Graduate Studies in Computer and Information Systems, Texas A&M International, Pennsylvania State University, Metropolitan Autonomous University, Technological Central-America University (Tegucigalpa, Honduras), Inter American University of Puerto Rico where he also was the Chair of the Graduate Studies in Open Information Systems and Educational Computing, He was full professor at the Doctoral Program in Administration at National University of Mexico and Research Leader at Barros Sierra Foundation (Future Research Center). He has developed several curricula and new studies, leading institutional computing groups and organized consortia with private firms as Microsoft, Oracle, IBM etc.